A good piece of art of the current Sentry. I believe it is a reference to Superman: Unchained. ^ Great pics, OAS. Looks-wise, Sentry has truly come into his own. Definitely, it's just a shame nobody is putting him into any comics. I'm hoping it's because they don't quite know yet what to do with him, and they don't want to overexpose him to the point where the awe and mystery are diluted. He may not be someone who can make regular appearances, but might be better handled with carefully selected storylines. It's a catch-22: we want more, yet familiarity may kill what makes him special (something like that). Yeah I mean it's just a shame you know. I could see multiple avenues for him to appear in but he's just not being implemented. Here's to hoping he makes an appearance in the couple of issues of Uncanny Avengers or the Secret Wars event. I hope that we will see Bob again soon. That...could be a real good place to start. I am hoping if he arrived he'd be like a guardian of the areas that have humans in them. He'd be circling the planet making sure no human was in danger. Obviously there are tons of other things for him to do but that's just one cool thing he could do during his time on Battleworld (if he even ends up in Secret Wars). It's a manipulation of the original artwork - and in that case it's a rip. The guy, who made those, changes other peoples art and puts his own tag "by Jor-El" on the images, without giving credit to the original artists. That's a big no-no. It's actual theft and the reason why I didn't want to post those images in this thread, even though I had considered it for a moment. Oh sure I know that, I saw the guys other work (on Deviant Art to be precise) and the other images were rips to images of Superman as well. I used reference in the sense that it obviously isn't Superman: Unchained but you know what it is from by the stance and stuff. I could've used a different word instead but I didn't mean reference so far as to mean it was his own artwork. I mean you get it in a lot of variant covers nowadays. They copy an old front page of a comic from a couple of decades back and change a few things round etc. It's then referencing the previous artwork. Also have you asked any questions lately relating to the Sentry to any of the various authors at all? I asked one about a week ago and got nothing. Brevoort's odd though, sometime he can be nice on his page and then sometimes he behaves in a rude manner. Tom Brevoort constantly has +13.000 questions waiting for him in the que, so there is one reason for him not answering some questions. Then there are obvious questions for spoilers, questions he doesn't know the answers to, questions he is not interested in and straight up stupid questions, that are not worth being answered. 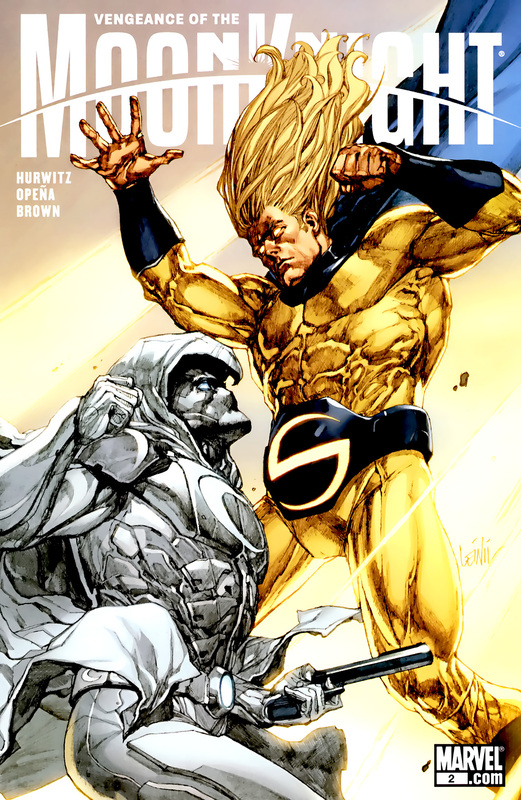 SENTRY Q & A: What is Sentry's actual origin? SENTRY Q & A: How did the molecule manipulation retcon affect the Sentry? SENTRY Q & A: Which persona of Robert Reynolds defeated the Molecule Man? SENTRY Q & A: Is the Void more powerful than the Sentry? SENTRY Q & A: What's up with the Sentry in Uncanny Avengers? SENTRY Q& A: Does the Sentry have a rogue gallery? SENTRY Q & A: Why is the Sentry capable of calming the Hulk down? I'm surprised that you don't speak about the Bendis interview about the molecule manipulation. I'm just trying to keep things simple. I personally choose to go with the molecule manipulation, since that can easily be shown to someone with the help of just one scan - the one, where the Sentry says, that everything he does is based on control over molecules. That's what he personally thinks of his powers as for now and what he thinks, seems to be(come) reality. So why confusing other people with the actual reality warping origin and throwing 5 more scans at them and a bunch of writer statements in the process, when it doesn't really change anything? In both cases the Sentry can do whatever he wants anyway. One month before Sentry's return guys. You mean Civil War right? Francis Leinil Yu drew it. I like his drawing style since his start in Wolverine.